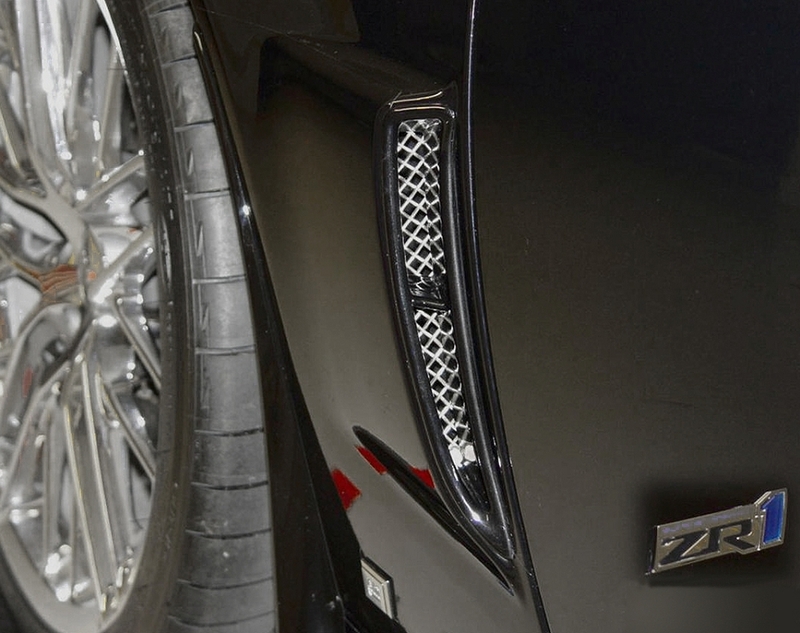 The cosmetic appeal and the protection of your C6 ZR1 Corvette is very important. With one of these "RaceMesh" Rear Fender Brake Duct Grilles, you can achieve both in one easy step. 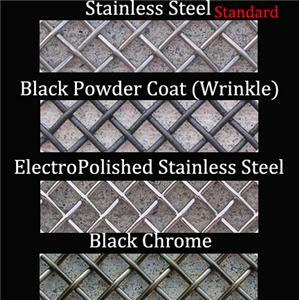 Designed with premium, Stainless Steel, Wire Mesh Weave, framed in a flexible PVC rubberized trim to protect the vehicleâ€™s paint finish. They are laser cut for perfection. Please use the drop down menu above and make your Finish selection. *Note: The "RaceMesh Grilles" products are custom handmade to order, right here in the US Orders ship in approx. 4 weeks from order date. Q: I have a base 2005 c6 vette. so are you saying that the ZR1 racemesh rear fender brake ducts grills will not fit my car?